Skin becomes red and produces small, red, pus-filled pustules (bumps). Rosacea turns worst if not treated on time. Some people even confuse it with acne or eczema, or some other skin allergy. Most of the people who suffer from this are unaware of this problem and do not know much about its symptoms. Some of the symptoms of Rosacea include flushing, hyper-reactive skin, redness, spots, and inflammation. Though the exact ingredients in Revitol Rosacea cream are not defined, it contains a broader class of ingredients that helps combat inflammation, flushing, acne and redness. 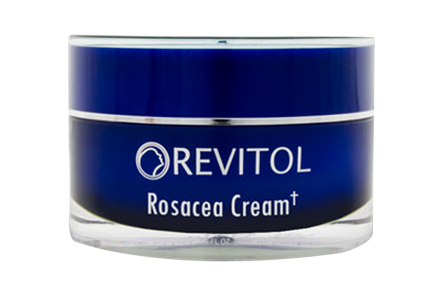 Anti-Inflammatories: Anti-inflammatory agents present in Revitol Rosacea cream constrict the blood vessels of the skin(the very same reason why flushing and redness occur with rosacea.) These anti-inflammatory agents are all natural and quite effective in nature. Anti-bacterial agents: Antibacterial agents kill bacteria which is sometimes the main cause of this skin problem. A certain bacteria which are responsible for causing rosacea breakouts are killed by these agents, thereby preventing rosacea. Collagen Booster: collagen forms the base of the skin and is considered worst when rosacea attacks. It is needed most when one has rosacea. Therefore, collagen boosters help boost this protein and help eliminate rosacea. It heals the skin from breakouts and also lessens irritation.